Vintage Fifi: Do you love Fridays too? In the Vintage Fifi household we just LOVE Fridays - something about the anticipation of the weekend ahead that makes Friday a special day. Today the early morning birdsong was at fever-pitch and we were all up before 6.30am. Perhaps the bellbirds, tuis and fantails also sense that today is our special day! The three of us stood at the window and watched the fantails perform. They darted back and forth, fidgeting here and there and playing 'catch' with each other. Tomorrow I will have the camera ready! 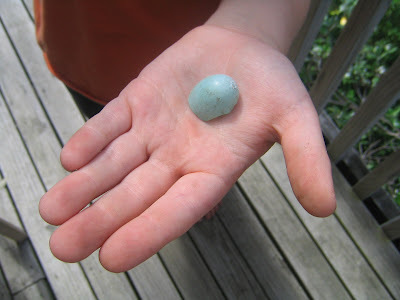 Later on in the morning The Youngster found a fragment of a bird's egg on the driveway. We have been trying to identify it but without much luck as yet. We spent the afternoon harvesting our gooseberries, redcurrants, raspberries and lemons. Two and a half jars of lemon honey (or curd as we would say in Britain) are all ready for breakfast tomorrow...Maybe quite a few breakfasts! Baking with ingredients harvested from one's own garden is such a pleasurable pursuit - the feeling is quite magical even after almost five years of doing so in New Zealand. 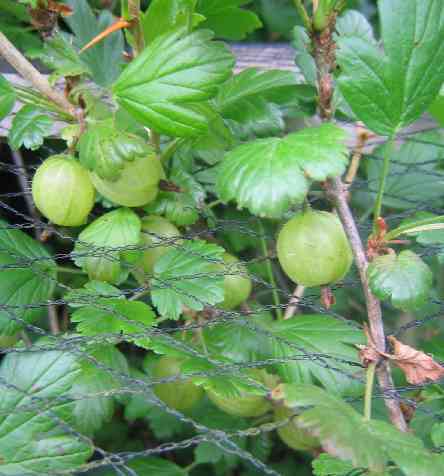 Apart from when one seriously injures oneself on the bl**dy spikes on the Gooseberry bushes...Seriously lethal! I have the scars to prove it.